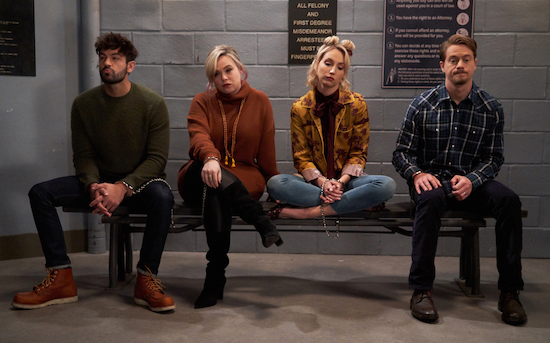 LAST MAN STANDING: L-R: Jordan Masterson, Amanda Fuller, Molly McCook and Christoph Sanders in the “Bride of Prankenstein” episode of LAST MAN STANDING airing Friday, Oct. 19 (8:00-8:30 PM ET/PT) on FOX. © 2018 FOX Broadcasting. Cr: Michael Becker / FOX.